I had some coriander pesto left, most of a tub of Tofutti Sour Supreme and an abundance of mushrooms. 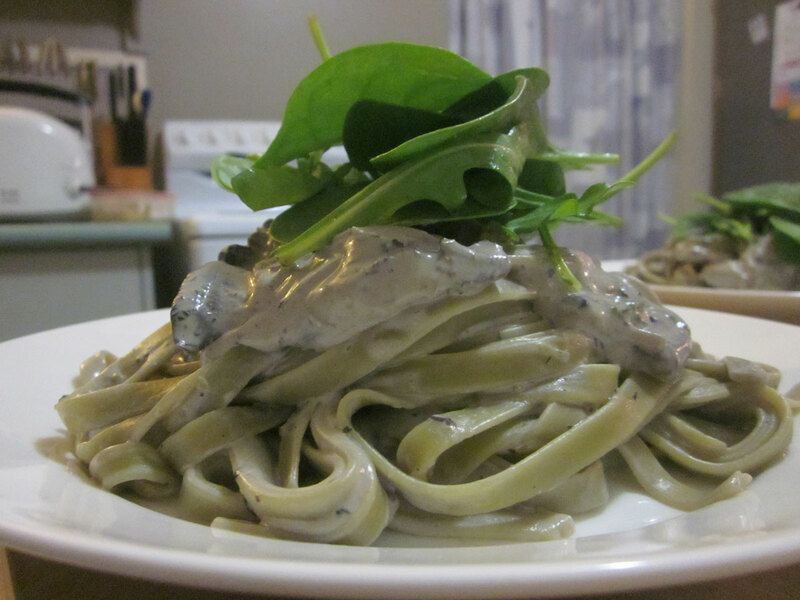 Oh yes, a creamy mushroom sauce with spinach fettuccine was calling me. This probably makes enough to serve 4. We both had pretty decent sized servings, and there’s enough left for another dinner. First I sliced all the mushrooms. I can only really guess as to the actual quantity, but it was 2 1/2 big round ones, and about 8 or so smaller field mushrooms. Next I sliced the garlic, and finally the onion. Onion really gets to me, so I always leave it to last if I can. I heated some olive oil in a frypan and put the onion and garlic on a medium – low heat to cook. 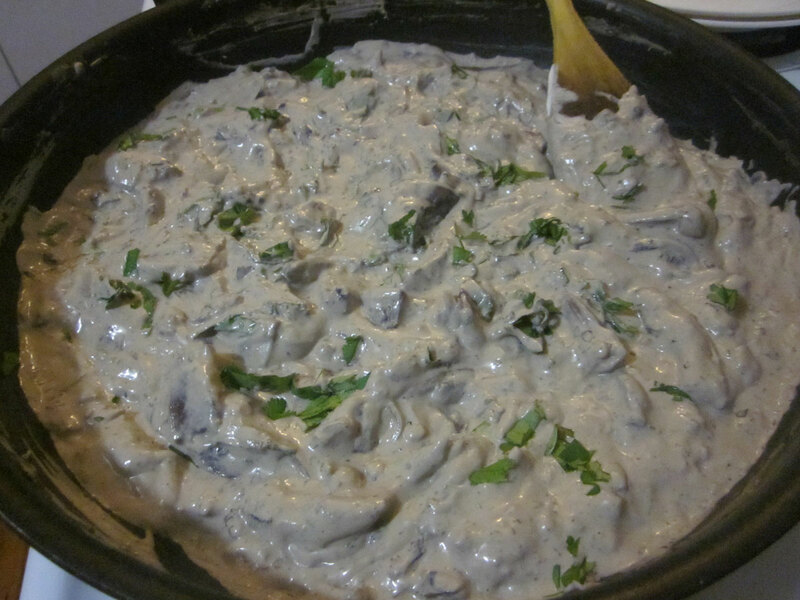 After about 5 minutes I turned the heat down to low and added the mushrooms, plus a little salt and the pepper. Once the mushroom was nearly cooked I added the coriander pesto and dried basil followed the the Sour Supreme and Better Than Cream Cheese. Once the sauce was warmed I added the savoury yeast, and finally stirred the fresh herbs through a few minutes before serving. I added the cooked pasta to the sauce so it would all be well coasted, then served it onto plates and topped it with spinach and rocket.